Tony Tooke, Chief of the U.S. Forest Service, resigned on Wednesday following allegations of sexual misconduct and investigation launched by the U.S. Department of Agriculture. Tooke’s resignation comes on the heels of a major PBS NewsHour investigation into sexual misconduct at the Forest Service. The investigation, which involved interviews with 34 current and former Forest Service employees, revealed widespread alleged gender discrimination, sexual harassment, assault, and bullying within the agency. One women spoke of being groped and harassed on the job, only to be told that an investigation by the Forest Service found no misconduct had occurred. Many women alleged retaliation, including negative performance reviews and demotions, after reporting instances of misconduct, while others said they never reported harassment for fear of retaliation. Three women interviewed for the investigation said they were raped. The allegations that surfaced during the investigation included claims that Tooke had engaged in relationships with his subordinates before becoming Forest Service Chief last fall. Shortly after publication of its initial investigation on March 1, PBS learned that the USDA had “engaged an independent investigator” to look into these complaints. In an email to staff on Wednesday, Tooke wrote that his resignation would be effective immediately. Earther has reached out to the USDA and the Forest Service for additional information on Tooke’s resignation and the ongoing investigation into his behavior, and we will update this post if we hear back. Allegations of a toxic workplace culture within the Forest Service go back decades, with female employees repeatedly filing class action lawsuits against gender discrimination and sexual harassment. 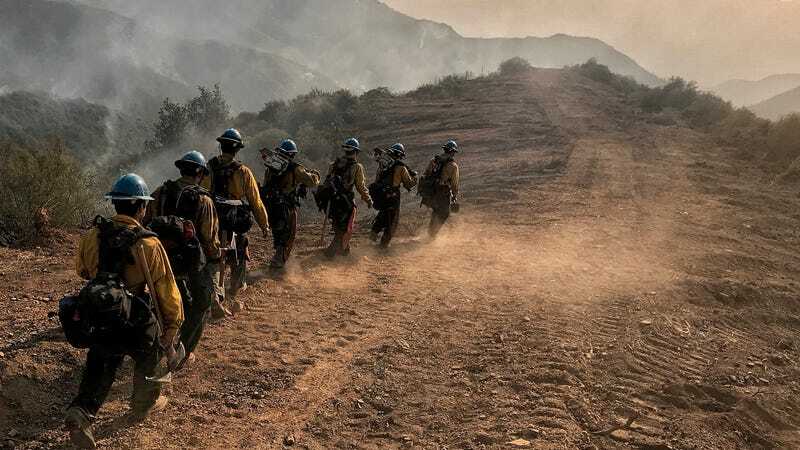 One such lawsuit, settled back in 2000, required the Forest Service’s California workforce to investigate all complaints and provide mandatory sensitivity training, Firehouse News reported at the time. But problems continued to surface, prompting Congress to hold a hearing to address sexual harassment and discrimination within the Forest Service in 2016. The National Park Service is grappling with similar issues, with Interior Secretary Ryan Zinke pledging action last fall after a nearly a fifth of respondents to an NPS survey reported some form of gender-based harassment on the job. If Tooke’s resignation and this latest investigation are any indicator, the agencies managing our nation’s forests and wildlands still have a long way to go.